Going right back to the first week in January – we received our 2019 product brochure. 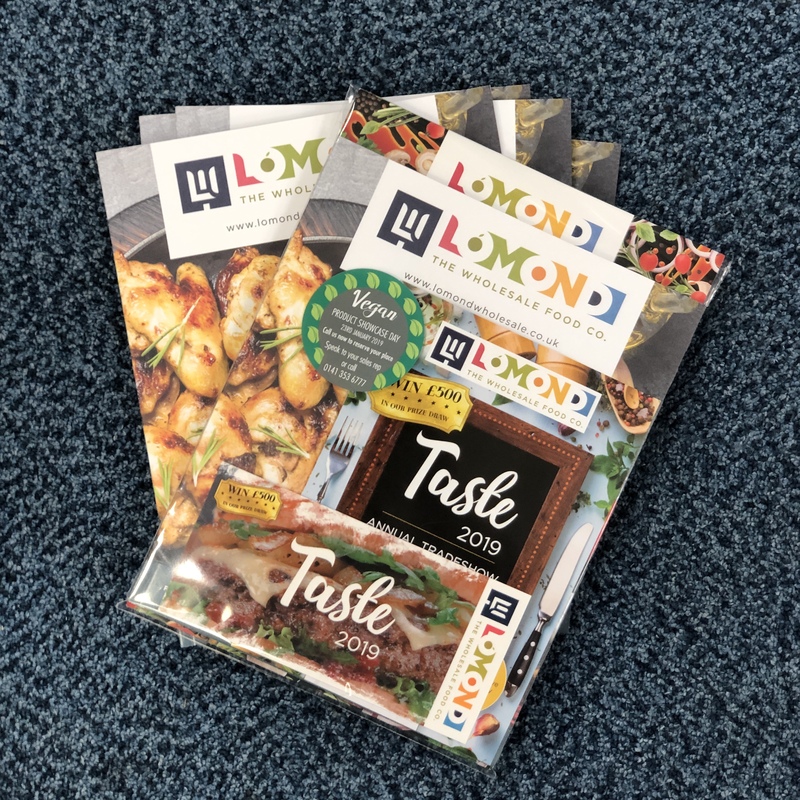 It’s packed with our usual product list, as well as the new vegan listing – helping you pick the right products for your customers. We understand the need to continually diversify, so held our first ever vegan product showcase day recently. We featured some suppliers who are pushing plant-based foods to the market, including Daring Foods, Field & Forest and Love Soup by Redemption. For more information about our vegan range, speak with your sales rep – we will also have a separate vegan listing later this year, making it even easier to offer your customers the products they’re looking for. 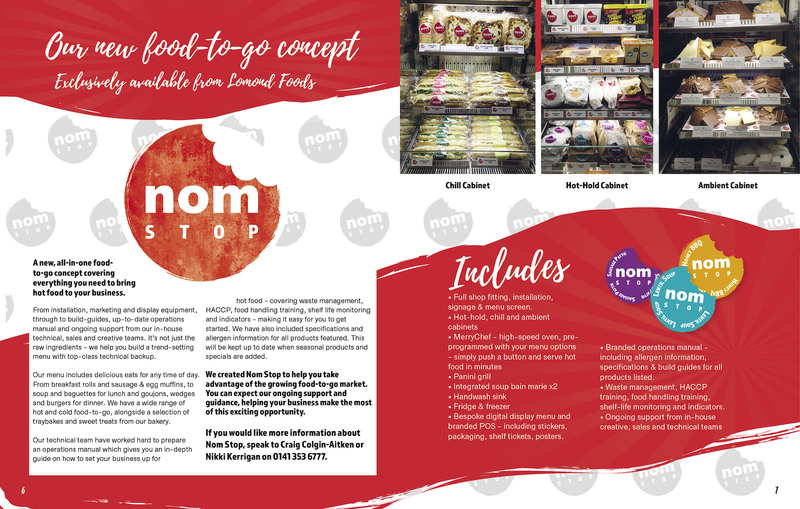 January also saw the launch of our first ever Nom Stop – our all in one, turnkey food to go solution, ideal for convenience stores, taking the hassle out of starting with food to go in your business. We cover everything, from installation to equipment, product builds, bespoke menus and point of sale. With Nom Stop, we can install overnight, so there’s minimal disruption to your business, plus you’ll have ongoing support from our in-house sales, technical and creative teams. If you would like more info on Nom Stop, you can speak to the team or your sales rep.
We had our BRC storage & distribution audit this month and we’re proud to have retained our AA accreditation – the best of the best! Not every business has this accreditation, especially at this level, and we view it as an essential part of what we do. 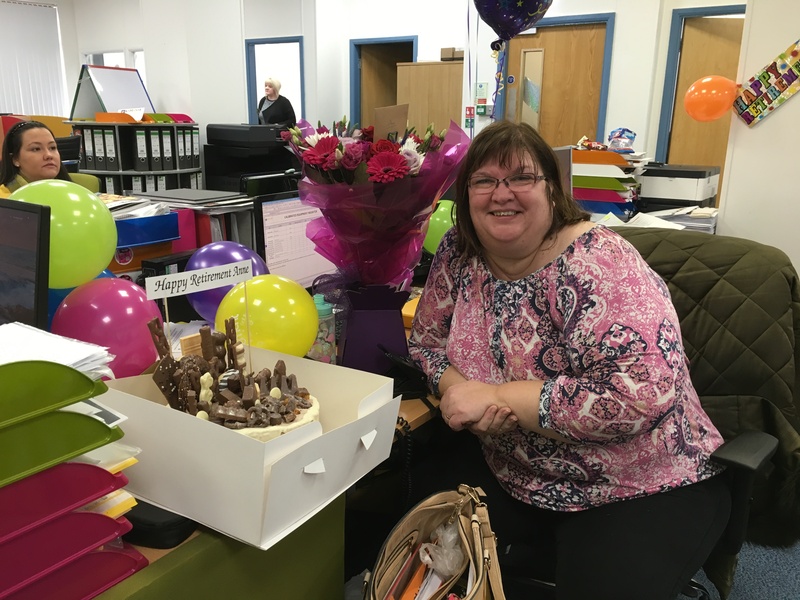 January also saw us saying a fond ‘farewell’ to our technical manager Anne MacDonald. Anne has been with us at Lomond for the best part of 5 years, getting us our BRC accreditation and keeping us on the right track with our health and safety, food training and so much more. We’ll all miss Anne a lot and wish her all the best for her future. As if this month wasn’t already choc-a-block with goings on, we also won big at the SWA awards on the 31st of January. 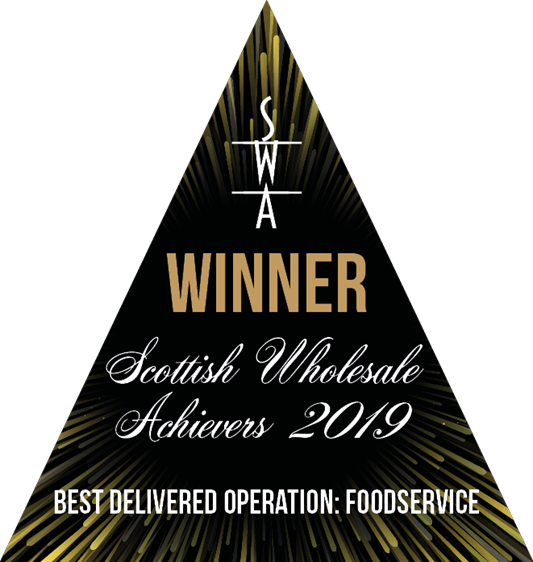 We came joint first with Bidfood Scotland for the Best Delivered Operation – Foodservice and couldn’t be happier with the outcome. We think it shows just how far we’ve come and, as an independent wholesale company, this award shows that we can compete with the larger nationals. A huge thank you to all of Team Lomond for your hard work! PHEW! That’s the first roundup of the month completed – if the rest of the year is half as exciting as January has been, then we’re in for a fantastic year. Coming up in February we’ve got Mark from Big Al’s coming in to launch some new products and get our tummies rumbling with some tasty, convenient solutions. We’ve also got Kevin from Speciality Bread coming in to promote their range of focaccia sheets, ciabatta’s and we’ll be treated to a lovely lunch. On top of that we’ve got our Valentine’s empire biscuit promotion, as well as our bundt cakes, lemon drizzle slice and Eton mess slice, plus our new look Cake website. We think that should be enough to keep us busy!